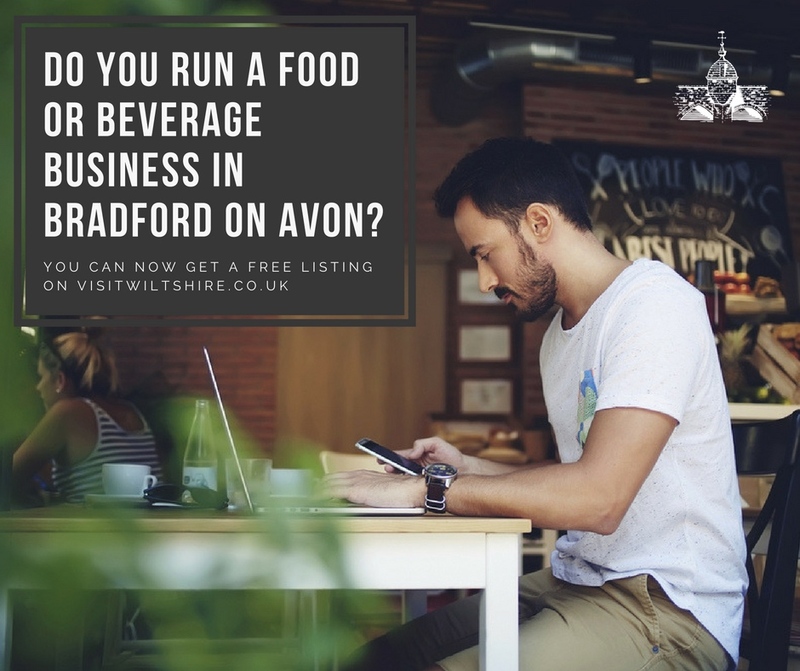 Do you run a food or drink business in BOA? In recognition of the Town Council’s funding which makes Bradford on Avon a ‘Visit Wiltshire Town Partner’, they would like to invite Food & Drink businesses in the town to submit information which will be used to build a free basic listing on www.visitwiltshire.co.uk, which receives 1.2million unique visitors a year. We hope businesses will take this opportunity up, helping to promote individual venues in addition to increasing the wider appeal of the town as a tourist destination. Bradford on Avon has so many great places to eat and drink in, so let’s shout about it!